Work is now underway on Dubai’s new AED1 billion (US$272 million) Marasi Business Bay marina, which is set to become one of the city’s most popular waterfront destinations. 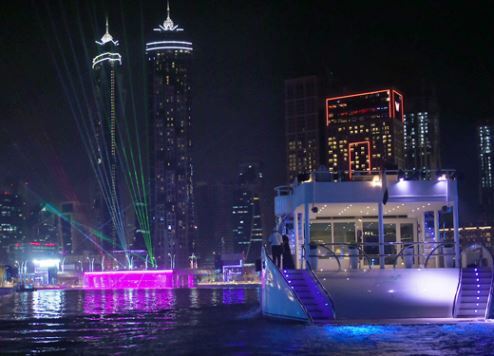 The installation of pontoons marked the launch of the project, which is located adjacent to the new Dubai Water Canal. The mixed-use destination will feature floating restaurants plus 800 berths. It is being promoted as the region’s first purpose-built yacht club. Set for completion in the third quarter of 2017, the first phase of the marina will include 157 berths varying in size from eight metres to 35 metres that are fitted out with essential facilities for boat owners including potable water, power supply and drainage, in line with the highest international standards. Launching the project, Abdulla Lahej, Group CEO of the project’s master developer said: “Today marks a significant milestone in the development of Marasi Business Bay, which is testimony to our commitment of creating destinations that provide exceptional lifestyle experiences for residents and visitors alike – reinforcing Dubai's position as a global tourism destination. The marina itself is being constructed using state-of-the-art Seaflex technology. It is one of the few marinas in the country to adopt this innovative environmentally-friendly mooring solution. It will also offer uninterrupted views of Dubai's skyline and feature a boardwalk lined with lush palms and planters.